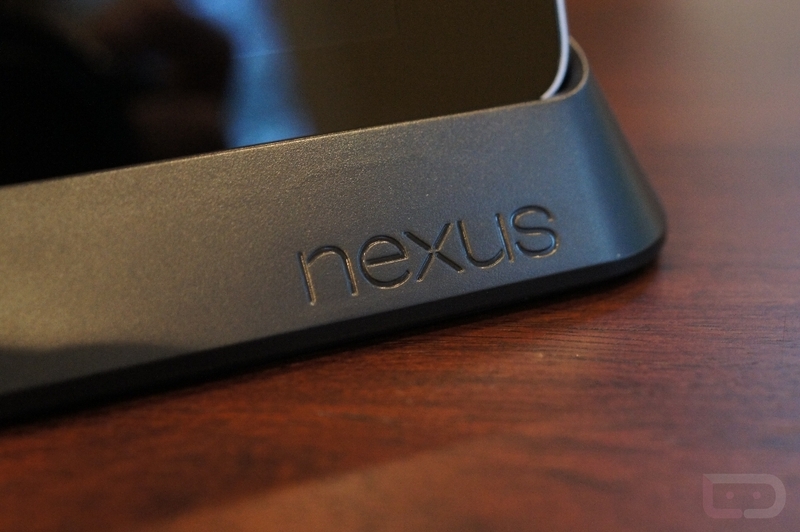 Hey, would you look at that – the official Nexus 7 dock is real! I say that for a couple of reasons actually, mostly over the fact that Nexus accessories are always on display during unveilings, yet almost never make it to customers hands or become any sort of a reality outside of Google’s campus. The second reason being that we have seen this thing push through delay after delay before finally appearing on random electronics outlets (which I purchased this one from). Enough complaining, though, let’s talk about the dock and its $40 price tag. In the box of the Nexus 7 dock you get nothing but a dock. They didn’t even toss in audio or microUSB cables, even though it utilizes both. No sir, this is a BYOC kind of party. The dock itself feels well made. In fact, it’s got some heft to it at 280g. It’s made of fine plastic (is that such a thing? ), has “Nexus” and “Asus” logos on the front and back respectively, audio and microUSB ports, and a rubber grip on the bottom to prevent desktop slippage. Beyond all of that, the key selling point here has got to be the dock’s use of the Nexus 7 POGO pins to charge the device. Once you have the dock situated on your desk with a charger attached, all you have to do is turn your N7 sideways and firmly press it into place. From there, the experience is what you want to make of it. Use it to watch movies with its optimal viewing angle, connect it to a speaker or headphones to bring a world of tunes to life, or take advantage of Android 4.2’s DayDream desktop docking feature. Your biggest worry is probably the price, right? At roughly $40 (cheaper at some spots) with shipping, all you want to know is, “is it worth it?” Tough question! It’s a well-made docking station, but with the lack of HDMI, some may consider it to be too expensive. I’ll say this – if you are looking for an official dock that still offers plenty of features and still remains under $50, this isn’t a bad choice.